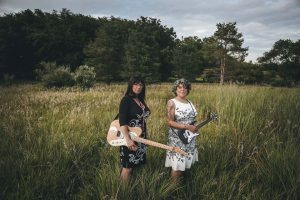 Recently compared by a new fan to The Everly Brothers – if they were women and a little dark and twisted – The Shineys have layers. Bringing both humor and heartbreak to their original songs, their strong voices and penetrating harmonies draw the listener in. The Shineys are genre defying and put their signature style into their cover song choices. Influences include blues, country, rock & pop. www.theshineys.com The Shineys contains the collaborative musical energy of Tica Felise and Carrie Ann Buchanan. Fun, harmony-rich, feel good music.